100% handmade 10 pair lash set with a cotton thread band for ultimate comfort. Up to 10 wears per pair. I love these, I've had my box since March and am barely ordering a second today! Light for me and for every day to glamorous use! Thanks beautylish for carrying this brand! 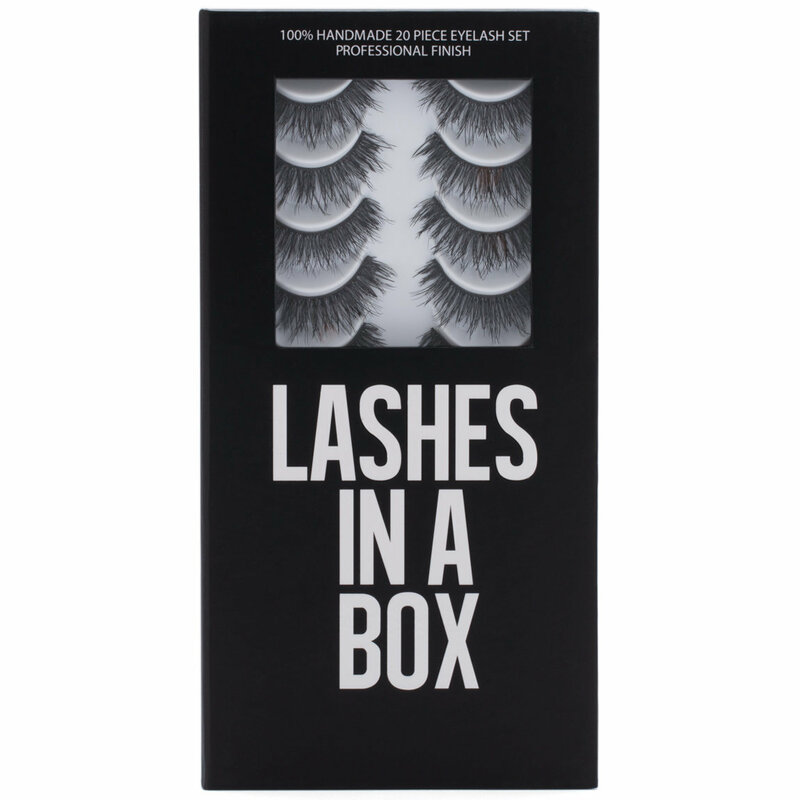 I love these eyelashes for a dramatic evening look. My favorite statement lashes. They are a little on the heavy side for me since I'm used to wearing the Ardell lightweight wispies on a regular basis.